I was actually craving for something bready today and recall there is a afrikaan braai restaurant that serves burger and sandwiches filled with braai meat. But when I got there, the restaurant was closed. Another time then. 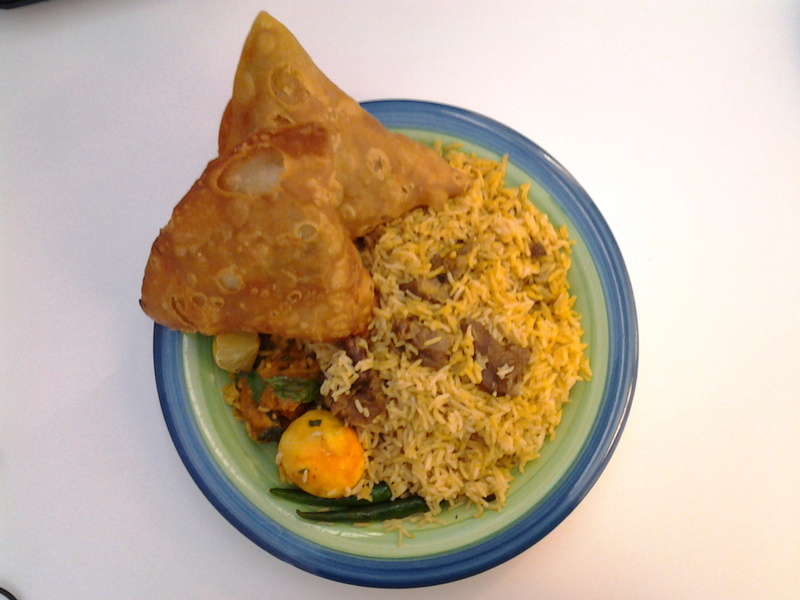 So while looking for Plan B, I came across this shop that had great looking samosas on display and Meat Biryani is today’s special so thought why not, try it! 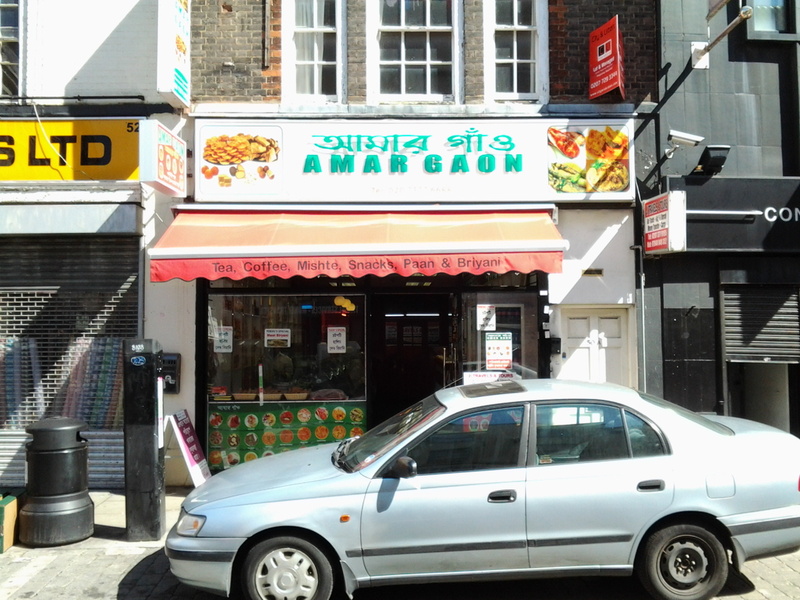 Amar Gaon is one of a few shops along Brick Lane that is like a cafe and sweet shop. 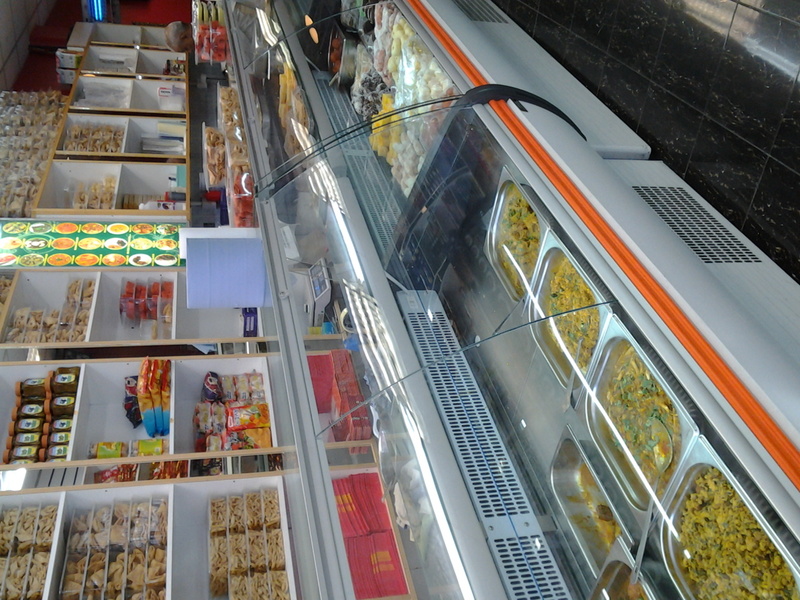 But unlike the others like Ambala, it has quite a spacious eat in area and also serve a few savoury dishes. 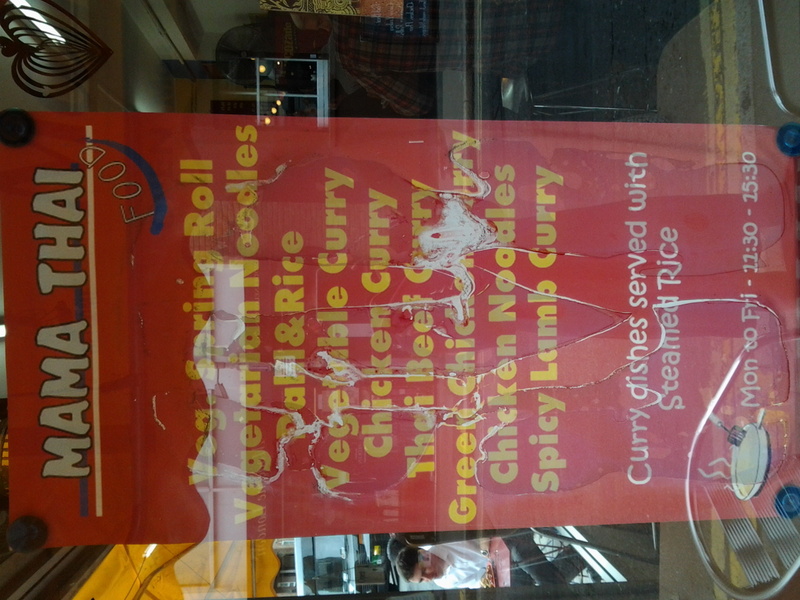 The menu on the front of the shop does not give non speakers like me much clue as to what is on offer. 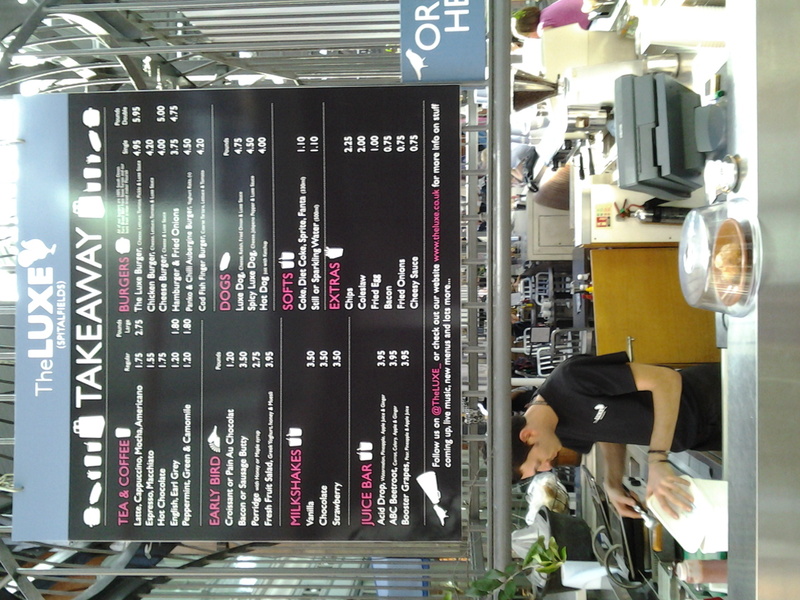 Luckily, there is a English translated menu on the wall above the cash register which helps a bit. After seeing the menu, I regretted ordering Meat Biryani, could have gone for the Beef Cina or Curry Chicken. Oh well, there is always another time. I was pretty skeptical when the nice kind uncle at the shop dole out my biryani. It’s looks too uniformly yellow and a tad dry. I took a punt and asked the uncle for some Chicken Curry gravy which he graciously oblighed. He also asked whether I would like a hard boiled egg that is cooked with the biryani, of course I said yes! 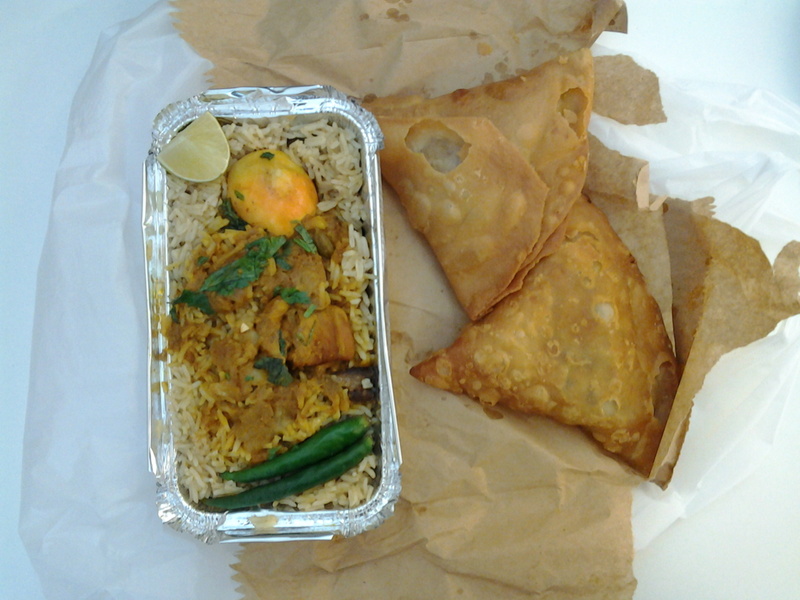 Added a meat and a veg samosa as sides to my order as well. 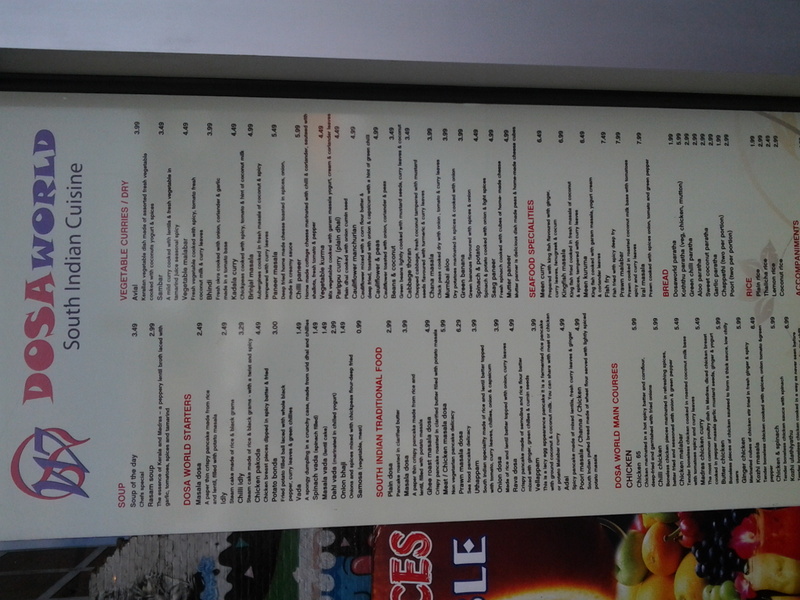 Based on the menu on the wall, the Meat Biryani is £4.99 while the samosas are £1.25 each. The uncle only charged me £7 which I thought was quite a good deal. My fear that the biryani will be dry and tasteless was twarted. The rice was not dry at all, have just the correct level of oil in it and each grain of rice is nicely separated. Cardamon pods, cumin seeds and coriander was scattered throughout the rice and gives it a nice zing. The meat (mutton I think) was also not dry but could be more tender. Beware while chewing though, some of the meat pieces are still on the bone. Look at the size of those samosas! They dwarfed the biryani when plated out! The pastry is crispy and flaky, I definitely prefer the meat samosa which is filled with mince lamb, peas and a mixture of herbs and spices. In all, a very satisfying and tasty lunch! 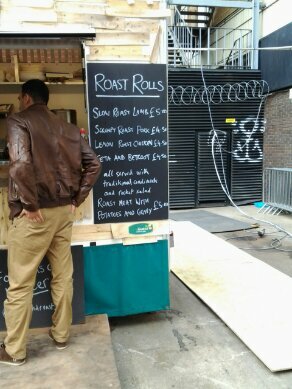 So I’m back prowling along Hanbury Street again for lunch today. Decided to have Chinese today and giving Sichuan Folk another go. 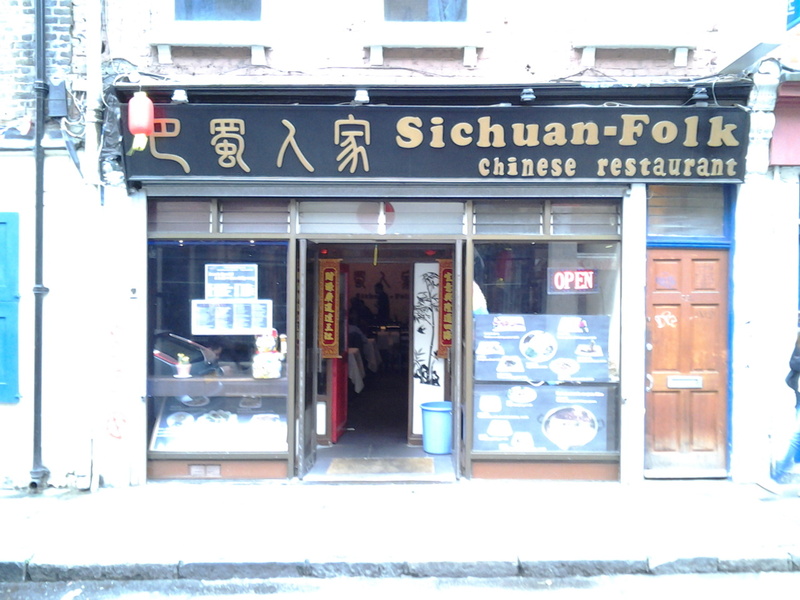 I have had dinner at Sichuan Folk twice before. Once with Boom and another time with Furry. 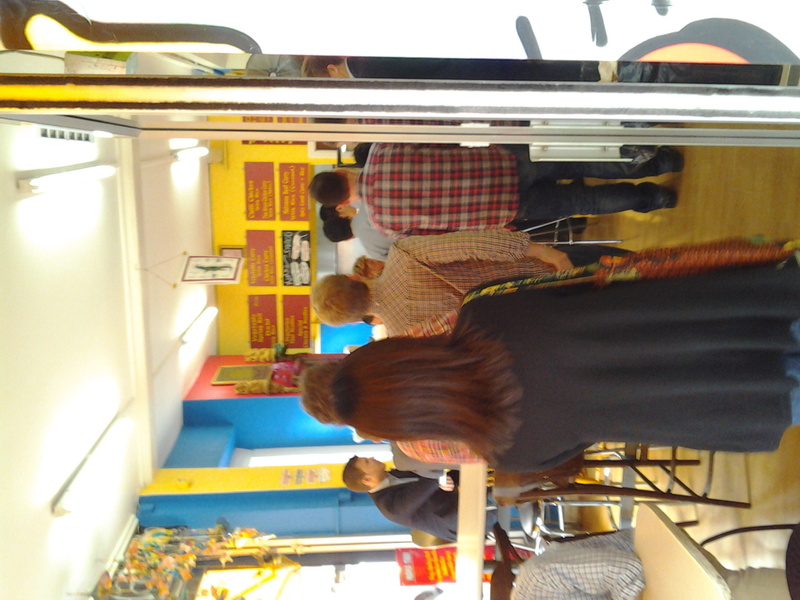 Have also tried their takeaway lunch a couple of months back. So this is another old friend. 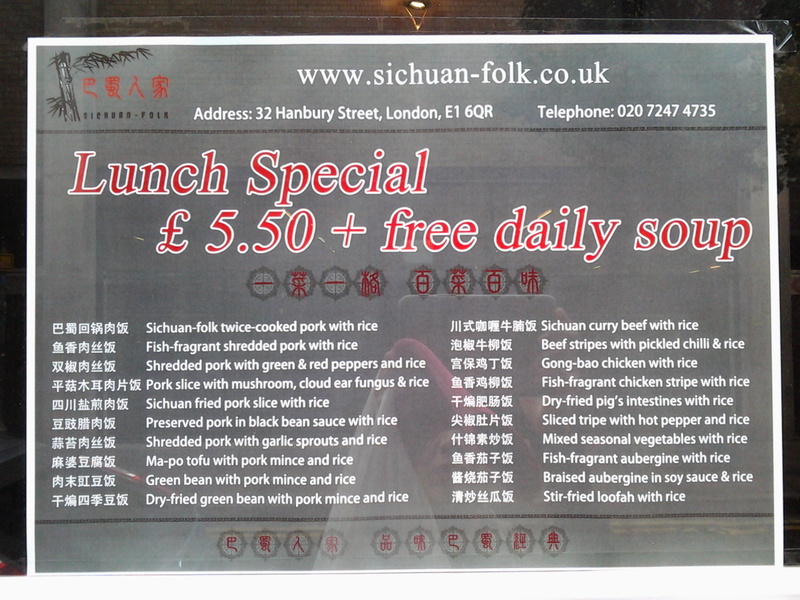 Sichuan Folk as the restaurant’s name clearly implies focus on Sichuan cuisine. This cuisine from the southwestern province in China is famous for being spicy and strong flavoured. Liberal use of Sichuan Pepper, garlic and dried chillies can be pretty scary for peebs who can’t take the heat. For lunch, the restaurant has a special menu with a selection of their dishes served with steam rice. Though the menu states that all option comes with soup, no such luck when you takeaway. At £5.50, can’t really complain as the portion is pretty generous. Been wanting to try the tripe or the intestine dish but went with a safe option today in case I scare you guys off! 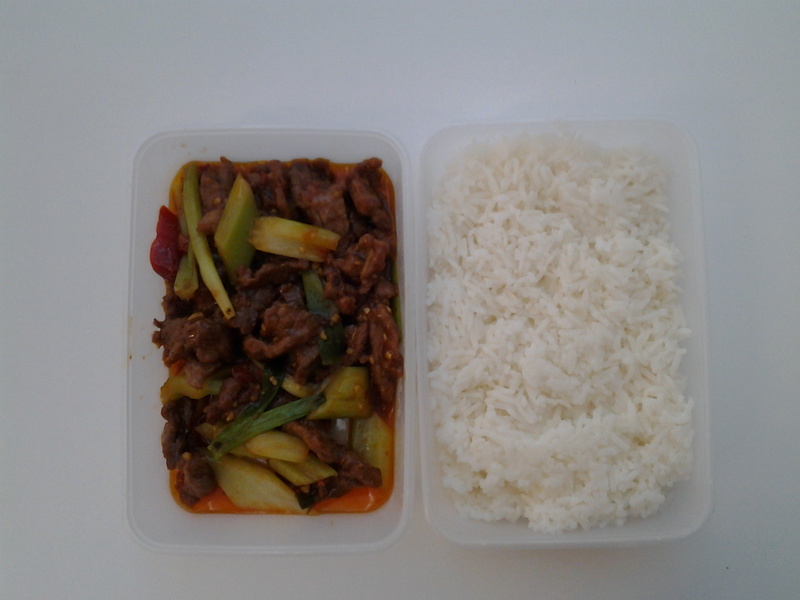 I decided on the Beef Fillet with pickled chilli dish. If you study the picture with the menu carefully, this dish is translated as beef “stripes”. Stripes? Dunno what that is, probably a case of lost in translation, very common for Chinese menus. Looking at the dish’s Chinese name, the correct translation should be beef fillet. 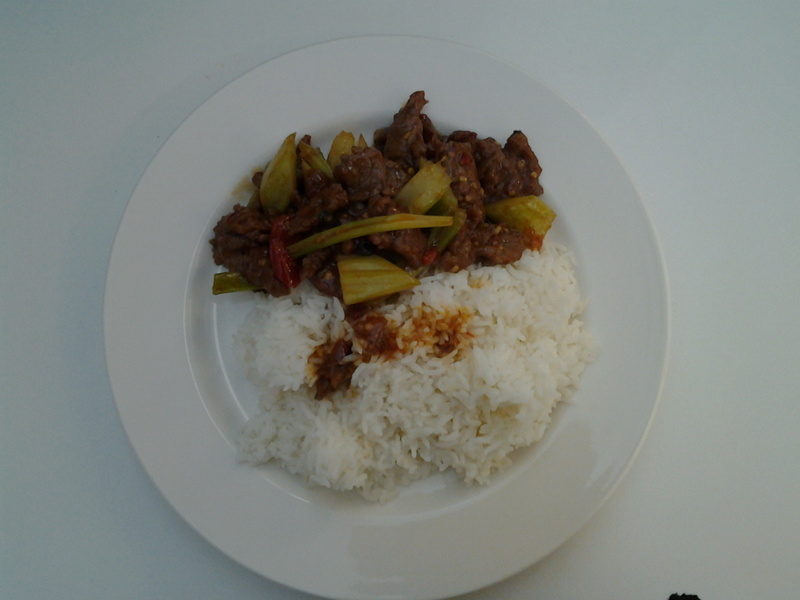 The beef is stir fry with slices of celery, spring onion and a mild spicy sauce. I think the sauce contains some Sichuan pepper since I detect the signature numbing burn. I quite like this, the beef is nicely cooked and is tender. The celery provided a welcoming crunch and the sauce is nice and savoury, goes perfectly with a big mouthful of steam rice. If you are in the area, I would highly recommend Sichuan Folk. 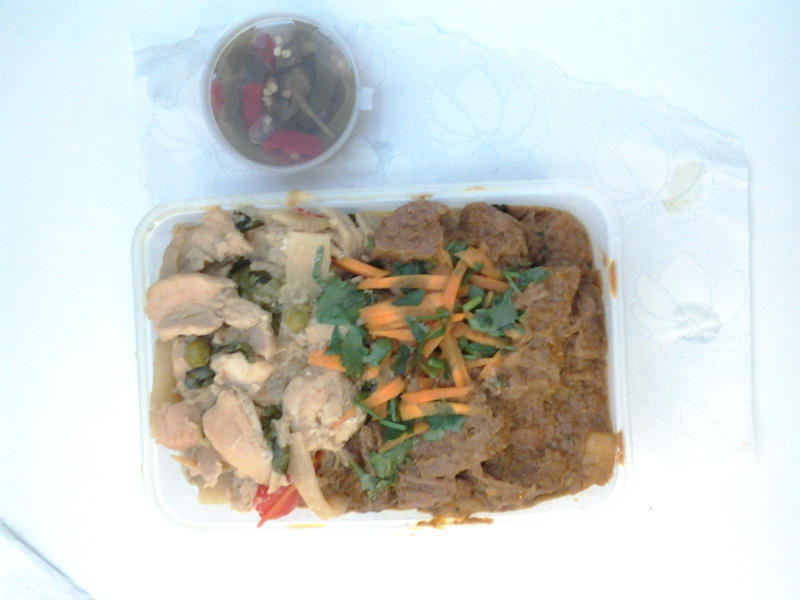 I will definitely be back to try some of the other more exotic dishes. 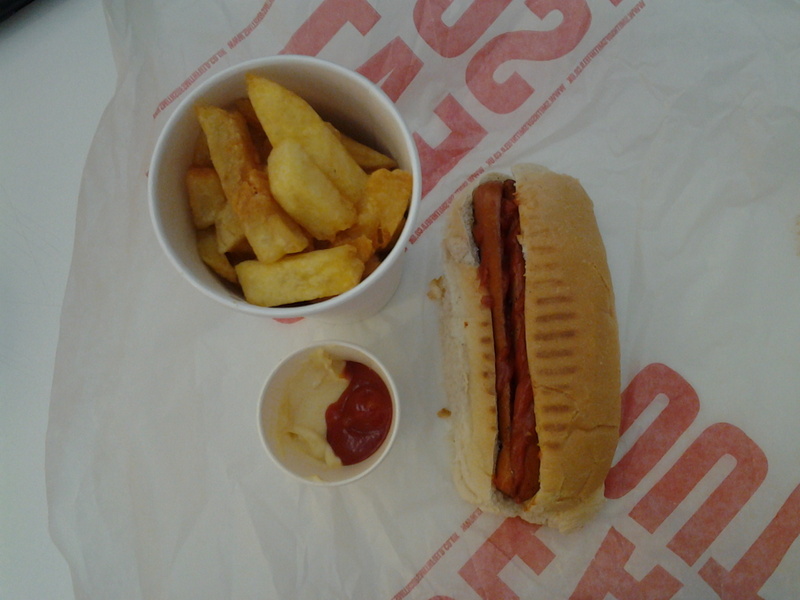 The weather forecast was for rain in the afternoon so I took a punt and went for something hot and soupy. I have had the udon from Japanika a couple of times before I started this blog so this is rather like reviewing an old friend. 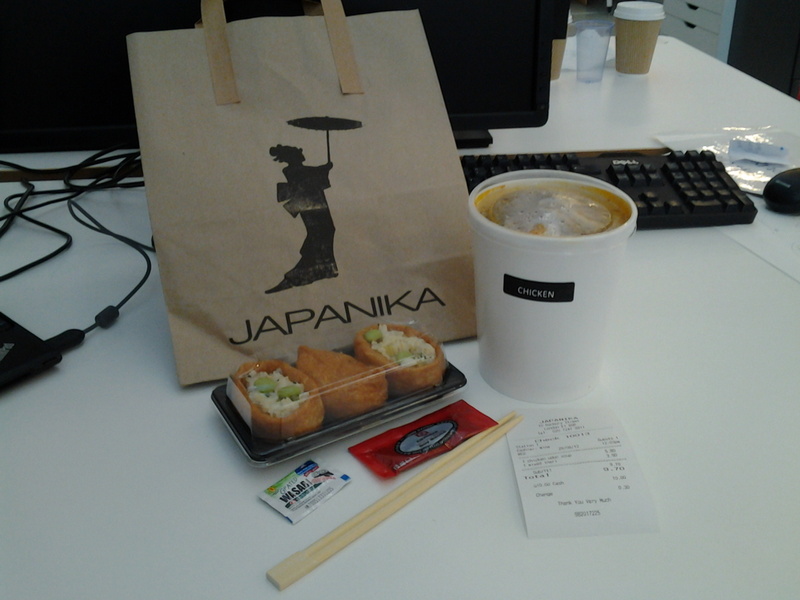 Japanika is located along Hanbury Street which is 5 minutes walk away from my office. 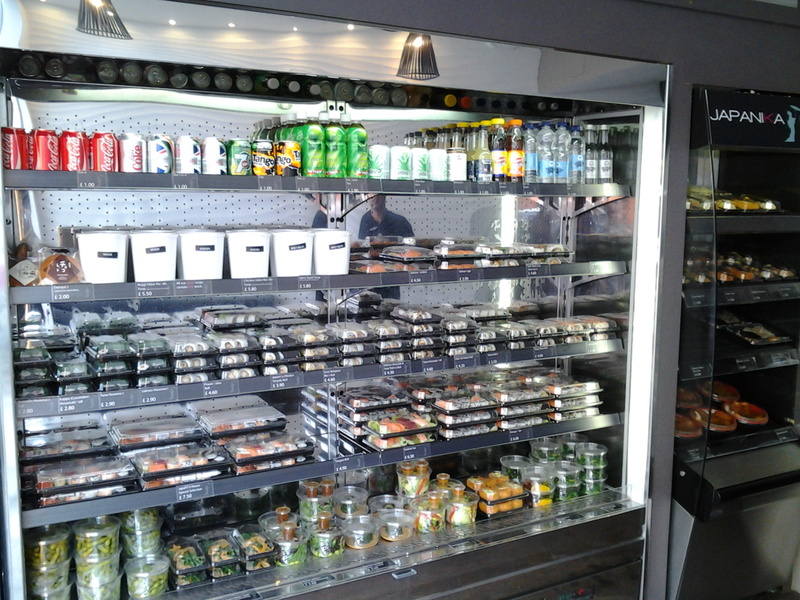 It serves a wide range of sashimi, sushi, salads, bento boxes and udon which I had today. It is a small shop but everything is need and tidy. 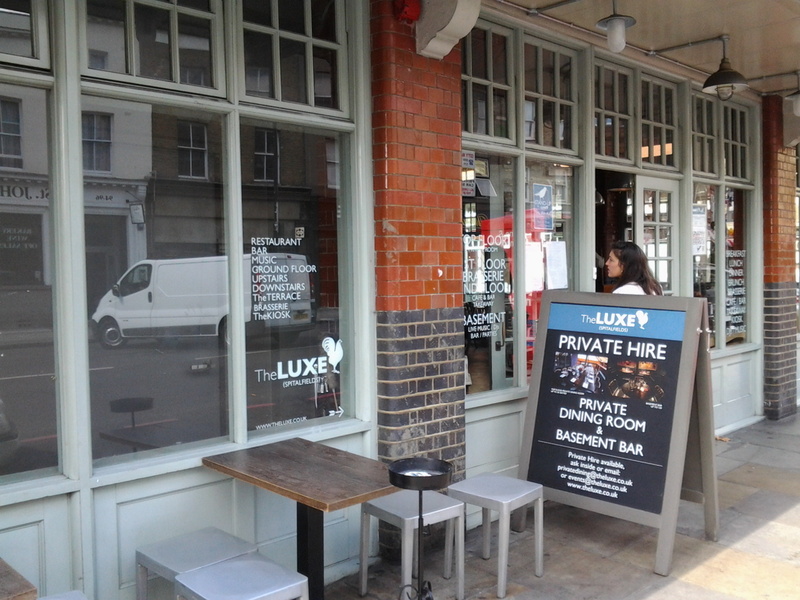 Some seats are available in the shop so you can chose to eat in. But seats are limited.There is a refrigerated area for the salads and sushi and a heated area for bento boxes and katsu curry. Yes! This is the famed katsu curry that Mr CSS is addicted to. There are 3 option when it comes to the udon. Chicken, Spicy Squid or Vegetable. 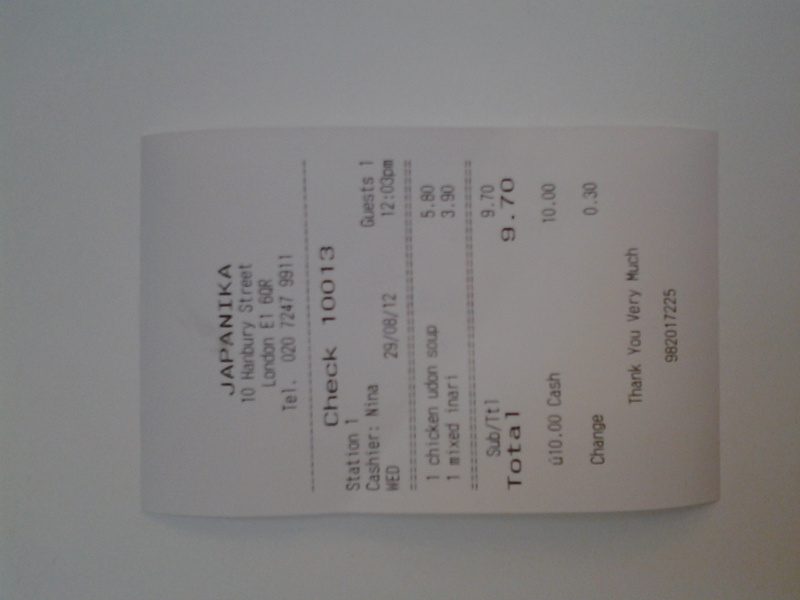 I went with the Chicken Udon today which is £5.80. You select your udon, go to the counter and the server will top it up with broth from a big thermos. Do ask for chilli oil to be added to spice things up. 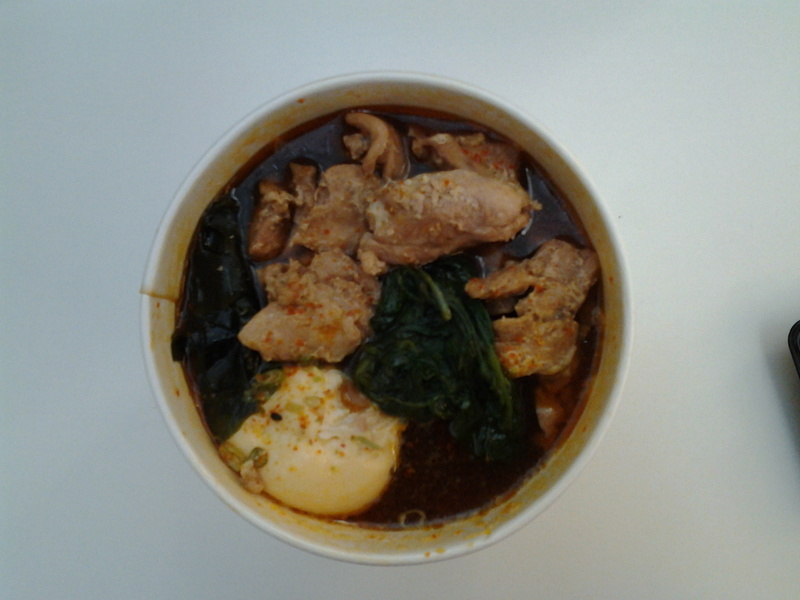 As you can see, the broth of the udon is dark brown in colour. It tastes slightly sweet with a strong hint of shitake mushroom and kombu. I like it but some might think it’s an acquired taste. The texture of the udon is not like in proper Japanese restaurants where they are chewy and springy. Here, it’s bog standard udon, the sort you get in supermarkets. Other ingredients include broiled chicken (I think they are chicken thigh instead of breast which is a good thing! ), shitake mushroom slices, sliced carrot, daikon, spinach, seaweed and a poached egg. Special mention needs to be given to the poached egg. I have not had takeaway noodles where they give you a poached egg. More places should do this, I think it’s a good idea. The mixed inari turned out to be pretty nice. The seasoned rice is mixed with chopped carrots and pickled ginger, some black sesame seeds and topped with a few edamame. 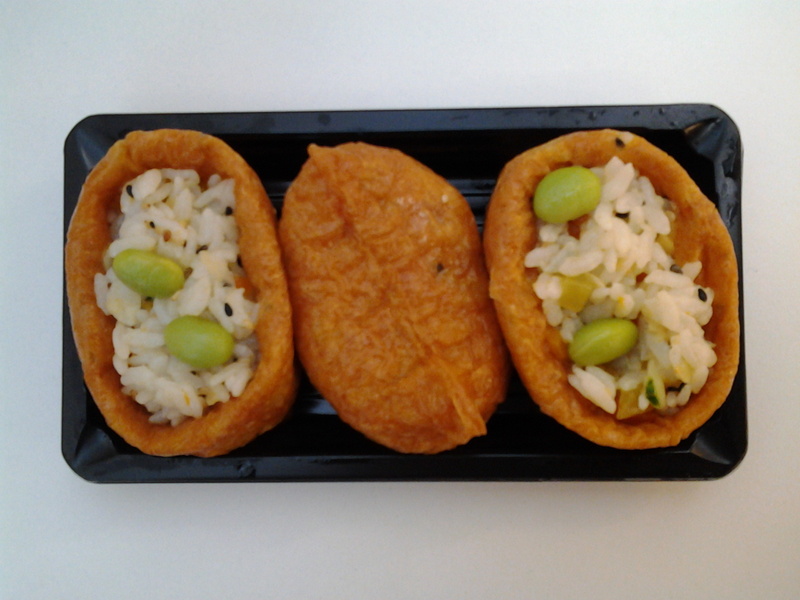 The inari pouch is tender and sweet and compliments the pickled ginger when you get a bite. Highly suggest you add some wasabi for the nose burning hit. So, it’s a good lunch today and if you are in the area, do check it out. Wish they start opening branches in other areas of London. Usually I don’t really crave for bready stuff for lunch. Ok, I might sometimes yearn for a baguette due to the crunchy crust but not normally a sandwich. I guess sandwiches got lucky yesterday! 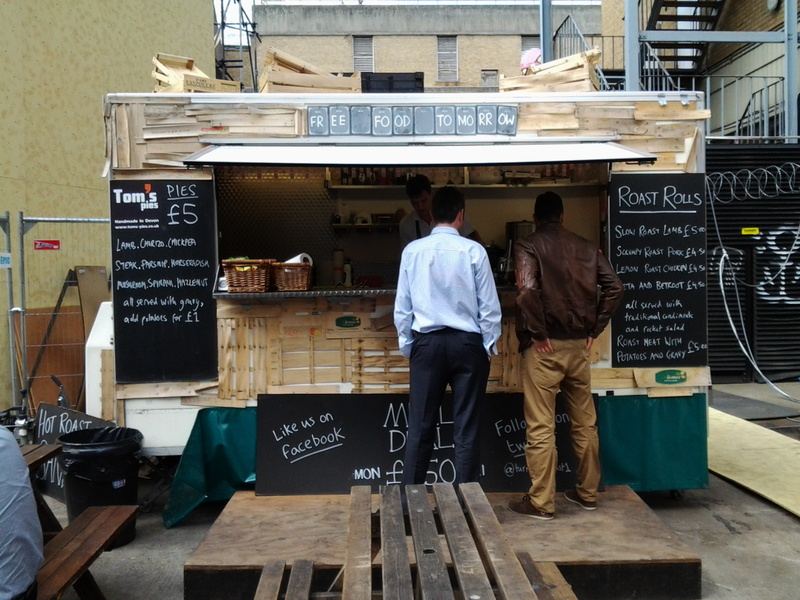 Next to The Orange Buffalo truck in Ely’s Yard at the Truman Breweries compound off Brick Lane, there is another truck that sells hot filled rolls. So I thought I give it a try. So it would seem they offer both pies and filled rolls. 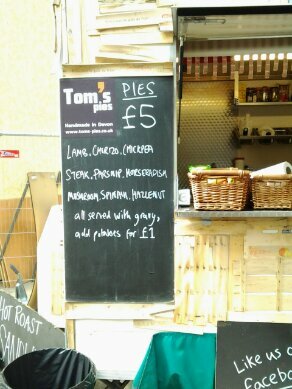 I think the pies are on consignment seeing its Tom’s Pie from Devon. The stall is simply kitted out. 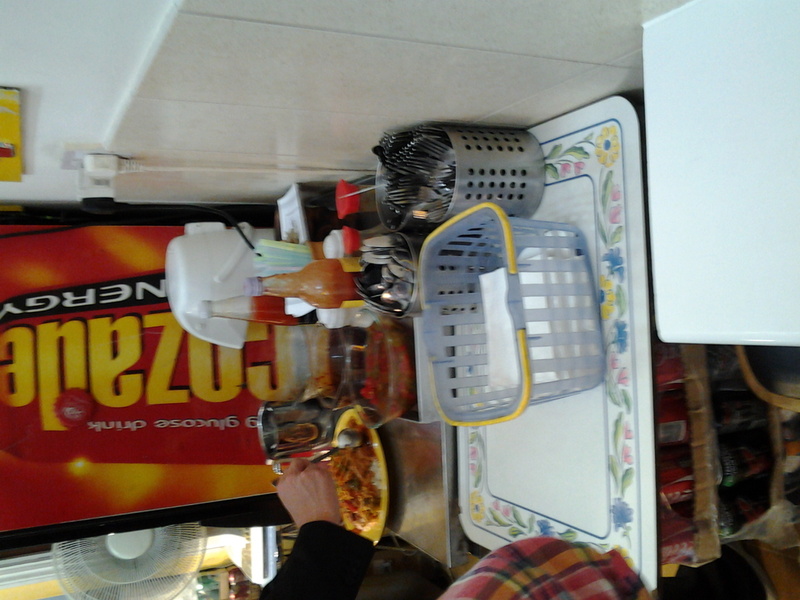 A few steam trays holding shredded roast meats, a basket with white or brown rolls, some condiments, another basket with a bags of crisps and a selection of condiments. That’s it! I went with the Scrumpy Pork Roast roll on brown bread. At £4.50, not that cheap really. Being the typical me, I won’t let myself get away with a one course lunch! 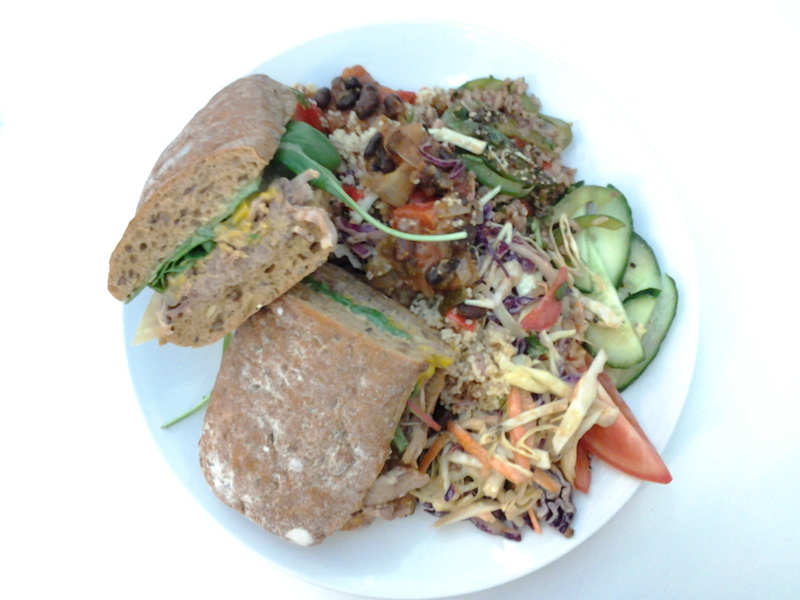 So I topped up the sandwich with a pick and choose salad from the office’s cafe. Since the office cafe is not accessible to the public, it’s not fair to say too much. Don’t want you folks wanting but not getting you see. Back to the filled roll. I got the chap who made my roll to suggest what condiments I should have? He said for the pork, I should have done apple sauce, mustard and sliced pickled onion. I went with the expert opinion. The shredded pork roast filling was juicy and the texture reminds me of pulled pork. The combination of mustard, apple sauce and sliced pickled onion was great! Slightly but mustard with sweet apple and tartness of the pickled onion was the perfect match for the pork. 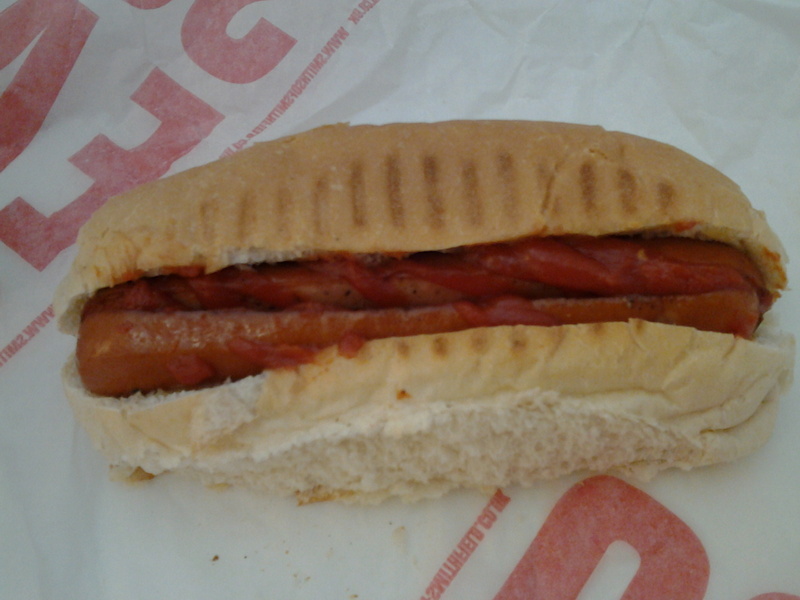 The brown bread was ok. Could do with a crunchy crust. 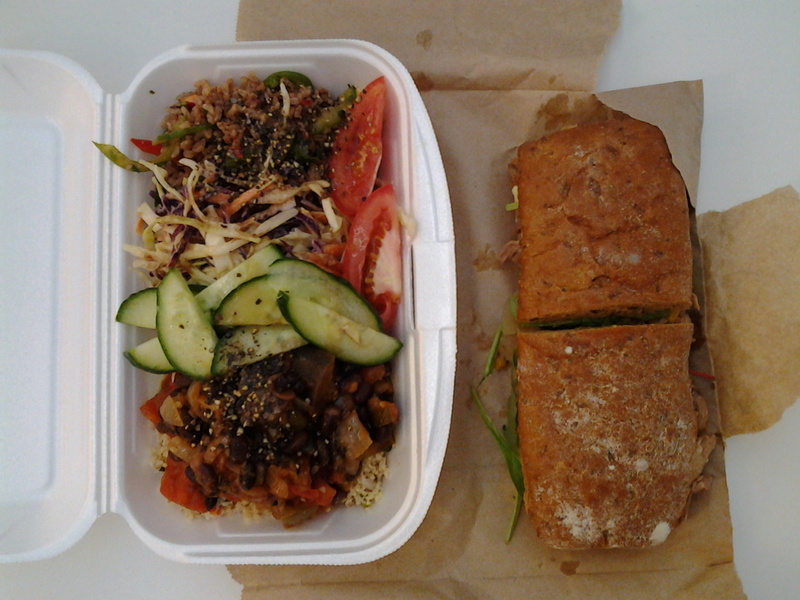 In all, it was an ok lunch taste wise and with the office salad, I could not move after. Trust me! Today’s lunch brings me back to my childhood. My Dad can be pretty vain sometimes and takes pride in keeping his head of wavy hair neat. Whenever he visits the barber on Sundays, he will bring lunch back for us. 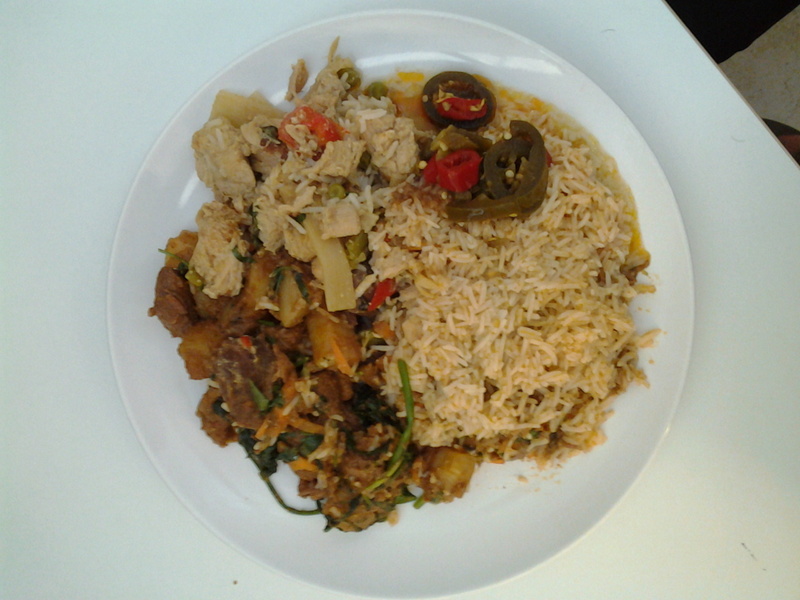 He loves Indian food so it will often be biryani, curries and pretty often thosai or dosa as its spelt here in the UK. I guess my Dad is the source of my love for Indian food. 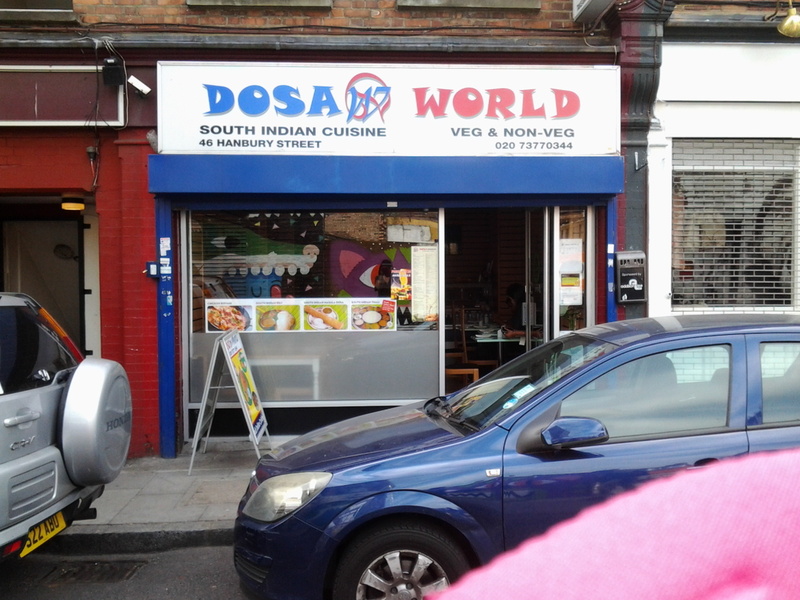 Dosa World is on Hanbury Street, just off Brick Lane. It’s kind of difficult to spot this little restaurant if you are just walking along the famous curry street. I’m lucky to have a rooftop decking area in my office and that’s how I found this place. 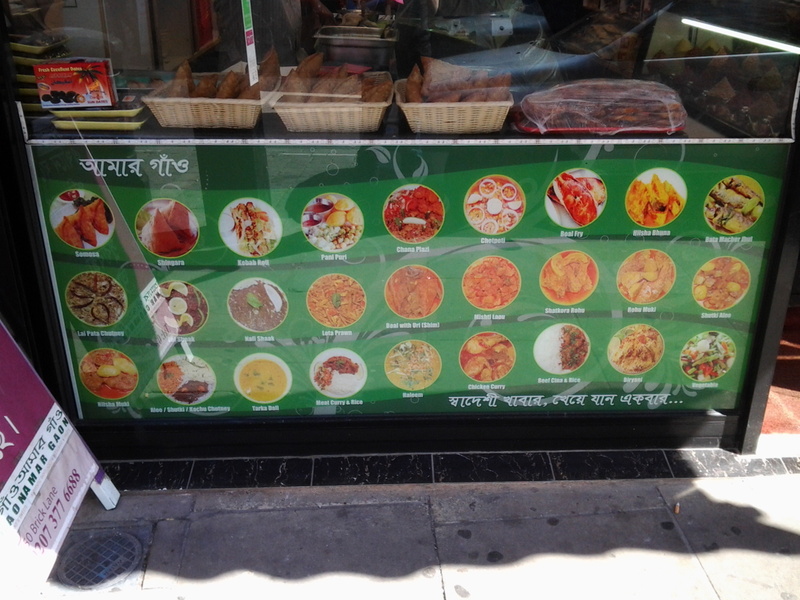 The menu at this restaurant features some typical Indian restaurant dishes as well as some not so common ones. Obviously, dosa and its variant is well represented. 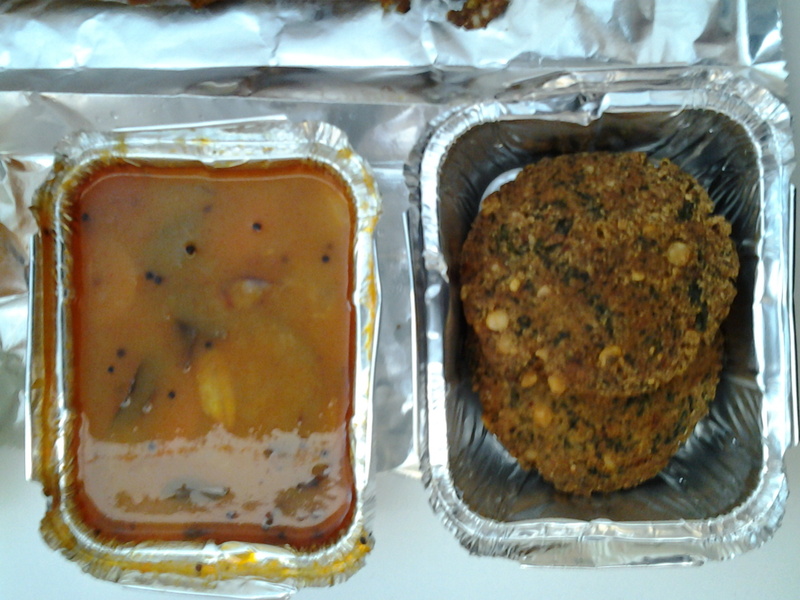 Being the typical greedy me, I over ordered selecting the Meat Masala Dosa with Spinach Vada on the side. 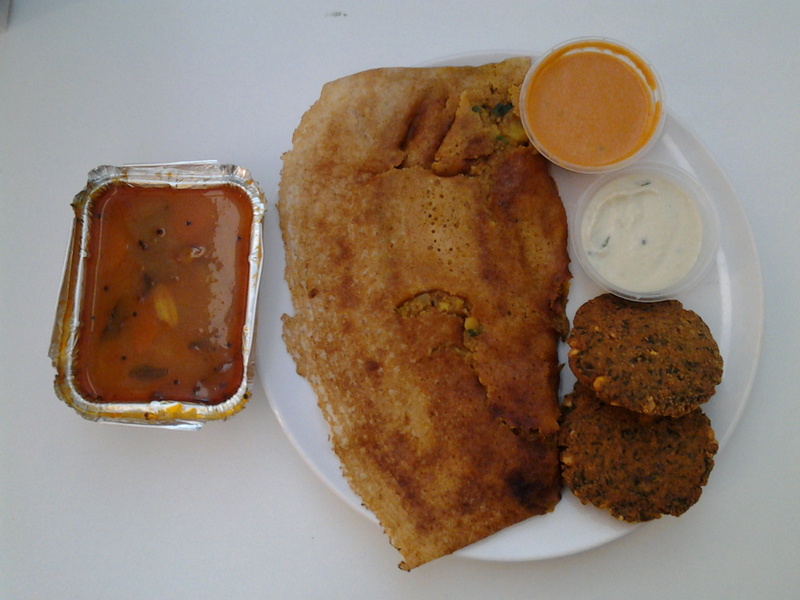 The Meat Masala Dosa cost £5.99 while the Spinach Vada is £1.49 which takes today’s lunch to £7.48. Really need to do an austerity lunch one of these days! I think every order of dosa will come with the 2 chutneys. Not sure whether the sambar comes with the vada or with the dosa. The white coconut chutney was mild, milky and savory while the orange one which I think is made with capsicum is more spicy with a slightly sweet after taste. The sambar is a welcome relief as the vada was very dry, by soaking it in the sambar, you avoid the sensation of eating Weetabix with no milk! 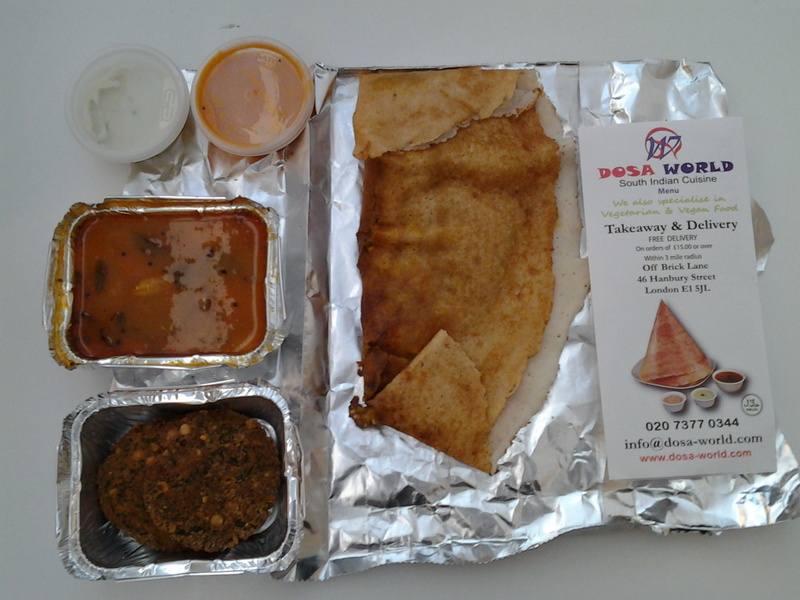 The dosa is filled with a mixture of chickpeas, crushed potatoes, minced meat with various herbs and spices. I enjoyed it a lot. The pancake was not too dry and of the right thickness. The moist filling complimented it perfectly. In fact, you could eat it as is without the chutney and sambar. There is a special lunch thali which looks tempting and I’ll be sure to post when I have it in future.